Playtime at Lynaire keeps dogs active, sociable & happy! Lynaire offers our canine guests large play yards with toys for individual or family playtime. 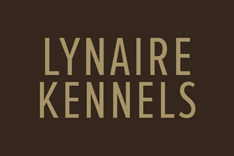 Unlike other kennels that only offer playtime in large groups, Lynaire provides one-on-one playtime with a caring Kennel Technician, allowing your dog to play tug, ball, or frisbee in a guarded, fenced-in area. Each “Club K-9” Premiere Suite guest is pampered with at least two nature walks and two playtimes daily. Nature walks along one of our trails are part of the Lynaire Difference, as our newly remodeled facility is nestled in a wooded, park-like setting.